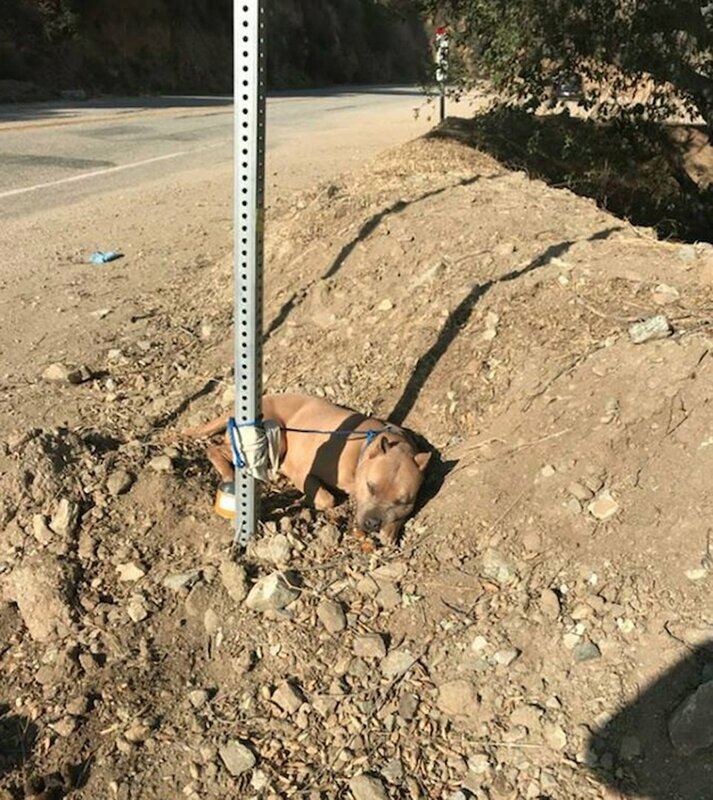 The Inland Valley Humane Society and SPCA dispatched an officer to respond to a call about a neglected dog who had been abandoned and tied to a pole on the side of a road in Mount Baldy, California, on New Year’s Eve. 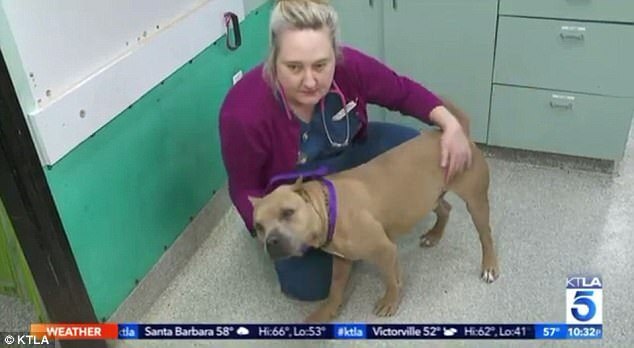 The pit bull, who is estimated to be around four years old, was left for dead without food or water. He also had a giant tumor on his scrotum which had gotten infected. The humane society took him in to give him the proper medical attention that he so desperately needed. It was unknown how long the dog had been abandoned there, or why his owners left him in the first place, but it was clear that he had been neglected for a long time. They decided to name him Chance, and despite what he has been through, he remains friendly and loving. All he wants is attention and he is still very trusting of humans. Chance received emergency surgery to remove the tumor, which was a success. He has recovered well and is otherwise healthy and happy. 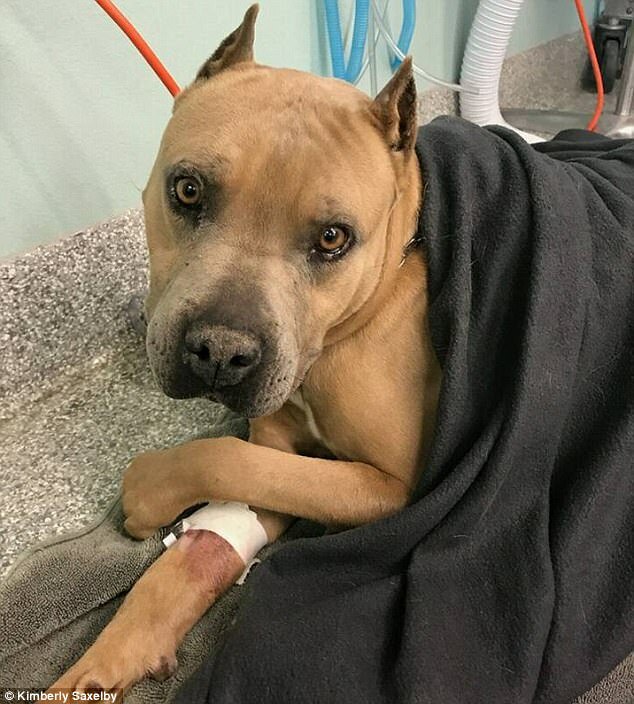 They are hoping to find out who the owner is and more details, but in the meantime Chance will be recovering with the humane society and getting all the love and care he deserves. Once he is fully recovered, he will be available for adoption. If you have any information about this dog, please call the rescue’s investigative department at 909-623-9777.